St Martin-in-the-Fields’ community art initiative, ‘Light the Well’, will enable participants to explore, through the artistic medium of clay, scripture and the scriptural symbolism of light. Through participants’ experimentation with light-sources contained within their porcelain vessels, our hope is that they will be strengthened in their faith by reflecting on the experience of Christ’s light shining within their lives. 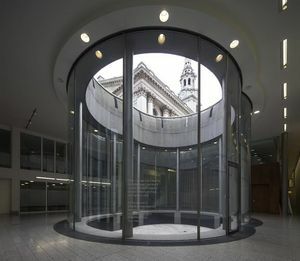 The resulting installation in the Light Well of the Crypt at St Martin’s will be seen by all those who access the site (such as tourists and concert visitors, members of the congregation, and clients of The Connection at St Martin’s). As a community art initiative, Light the Well will involve participants drawn from the broad community of St Martin-in-the-Fields in a series of community art workshops, in turn leading to an art installation in the Light Well of the Crypt at St Martin’s. When installed, the lanterns will be tethered together by cord crossing the stone floor to create an evocative patchwork constellation of lit lanterns. Viewers will be guided by references in accompanying literature to the Old Testament, in which the motif of pottery is often employed to emphasise God’s creative power and authority over his creation.